Vote for your favourite eco tip and you'll be helping choose the winner of our Lavish & Lime Eco Tip Envirosax Giveaway. A big thanks to all of you who sent us your tips for living life a little greener. There were so many great ideas and suggestions. It was incredibly tough, but we narrowed the 60 tips we received down to 10 finalists and posted them below, as well as on our Lavish & Lime Facebook page. Now it's your turn to vote for the winner! Leave a comment below telling us which is your favourite tip or go to our Facebook page and place your vote by clicking the thumbs up 'like' icon on the tip you like best. Don't be shy, you're more than welcome to vote for yourself - and get your friends to vote too! 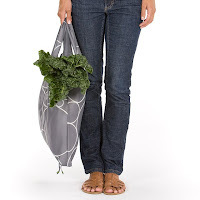 The person with the tip that receives the most votes between this blog post and our Facebook page will win a 5-pack pouch of Envirosax shopping bags. Voting will close August 15th and we'll announce the winner on the 16th. Best of luck to our finalists (their tips are listed below in no particular order) - and thanks again to all who entered. Happy voting! Eco Tip Finalist #1 Dawn Marie Duncan: Instead of using SOS pads and things with chemicals in it...when trying to clean a super messy frying pan, I put in some baking soda, some water and a little bit of eco friendly soap, and let the baking soda do all the work....works best when pan is still hot. Eco Tip Finalist #2 Loralee Moore Johnson: My eco tip is to place your water bottle on your shoes or in your purse at the door so that you don't forget to take it with you (before I used to forget and then buy a plastic bottle of water many times while out). Eco Tip Finalist #3 Nic Carpenter: My best tip would be to unplug, not just turn off, electronics that you are not using. Eco Tip Finalist #4 Jen Peebles: My eco-tip is to teach our children everything that we know. For it's our children that are going carry on the lessons that we teach them and they are the ones that will ensure the safety of our lovely planet. It's evident since my four year old (and my ten year old too) knows what is recycling, compostable, and what is full of bad chemicals that aren't good for us or our animals. It's so cute and satisfying hearing him give someone a lecture when they litter!! Eco Tip Finalist #5 Nava Jojo Jay: Before chucking plastic shopping bags (if you're still using them) into the recycling bin, open one up and flatten it out to catch the vegetable scraps as you peel. When done, simply gather up the bag and slide the mound of peels off into your compost heap or garbage pail. Makes cleanup MUCH easier! 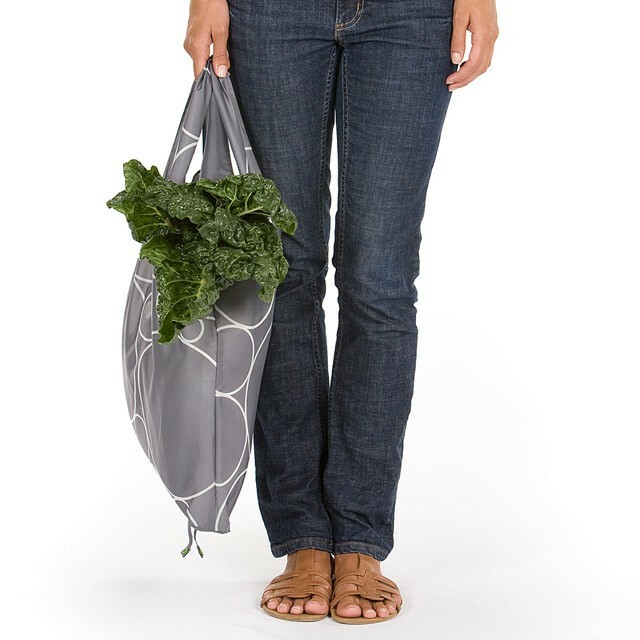 Eco Tip Finalist #6 Cindy Jensen: My eco tip is to always keep at least one reusable bag in the car – if you leave it in the house, you’ll forget about it – but if it’s in the car, it’s always there even for spur of the moment shopping. Eco Tip Finalist #7 Shelley Alexander: I try to live my life a little greener with the following tip. Do I need it or do I just want it…trying to live a little simpler makes decision making about ‘stuff’ a little easier. Eco Tip Finalist #8 Alanna Teed: I hang a bucket on the shower handle. When we take showers it fills up and I water the plants with it. Eco Tip Finalist #9 Melerie Ingram: Two of us at work take turns taking the compost home - it took a week to get everyone used to putting compost-friendly items in bin but it works beautifully now - no more coffee grounds and wet garbage for the cleaners and we all feel like our office is doing its part for the environment. Eco Tip Finalist #10 Kyla Larson: Make your own condiments. The internet is brimming with recipes for mayo, mustard , ketchup, fermented veggies and salad dressings. They are much better for you, as you are in control and can exclude GMO's and other shoddy ingredients. You're also reducing the amount of packagin you bring into your home. Kyla has kindly shared one of her favourite recipes with us - enjoy! Place the following ingredients in a small jar and shake. We look forward to receiving your vote below or on our official Lavish & Lime Facebook page. Please stop by our eco boutique Lavish & Lime for more green living ideas - we'd love to see you there!